“Not only are you extremely nice, but the technology is AMAZING! Things were explained thoroughly and I’m no longer scared of the dentist.” — Daneen S.
Restore your smile with a top dentist in Millstone, NJ. TMJ disorder (TMD) can result when your joint jaw isn’t working properly. The following symptoms could include migraine headaches, aching jaw muscles, and teeth that are worn, broken, and have moved over the years. Full mouth rehabilitation allows us to create a custom treatment plan to restore both the teeth and the TMJ to health and stability. Smile design is all about making your dream smile come true. While you and Dr. Burden browse through photo albums and pictures of your ideal smile, we can digitally design your future smile accordingly. Yeah, we know, it is pretty cool! You can finally smile confidently and expect your own customized and definitive treatment plan following the creation of your ideal smile. Before starting your smile make-over, you will have a detailed explanation of the procedures and costs involved. Our practice offers both non-prep and traditional veneers, and we make the decision based on your desired results. With veneers, we always endeavor to be conservative and save tooth structure as much as we can. Dental care for the disabled or housebound. Whether you need dental implants or dentures, Dr. Burden’s portable suitcase has all the necessary dental equipment to perform any procedure—in any location! Everyone has fears! Although we make sure you have nothing to fear, many still do fear the dentist. Why do we offer sleep apnea treatment? Simply put, it is part of our responsibility as health care providers to screen for a variety of diseases. At the time of your exam, we can evaluate the airway and question you about any sleep related issues. Benefits both you and your pocketbook! Dr. 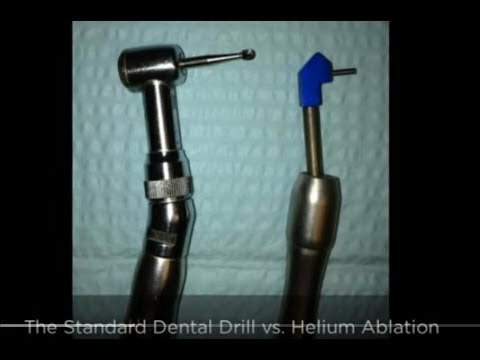 Burden dramatically demonstrates the benefits of micro air abrasion over the traditional dental drill. ‘‘Anytime we can make a significant impact in a patient’s life, it’s a rewarding experience. We can't wait to meet you and take care of your dental needs!